The newest installation at Rockefeller Center, Surf & Sand, features the whimsy of a summer beach day, complete with floral design to mimic the look of a beach blanket. Seascape topiaries modeled by Bountiful Farms feature a sun, jumping and diving dolphins, fish, and an anchor. 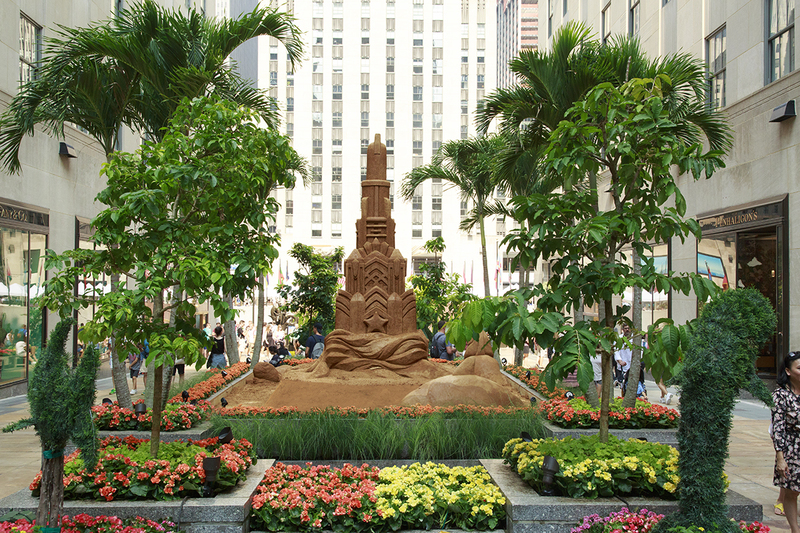 The centerpiece of the installation is the 16’ tall sandcastle presiding over the Channel Gardens, surrounded by tropical palms, which was built over a week period, and attracted curious locals and tourists alike. Plant materials include shrubs White Angelonia, White Calibrachoa, Yellow Calibrachoa, Orange and Purple Coleus, Lime Green Heuchera, Hot Pink and Orange Kalanchoe, and Gold Lantana; while trees are made up of Adonidia Palms, and Queen Crape Myrtle. 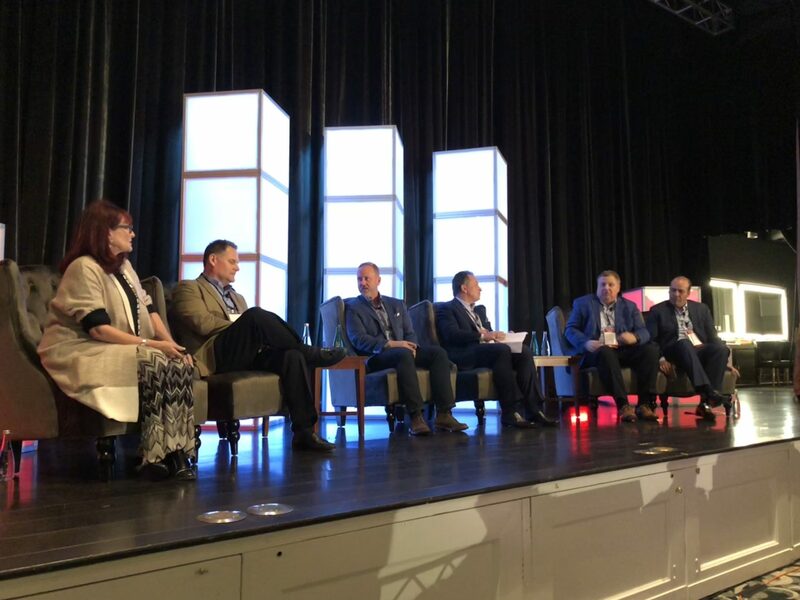 The vision of the design was conceived by our talented team at Lifescapes International, led by Project Designer, Adam Kober, in collaboration with Roger Voettiner, Vice President of Design.